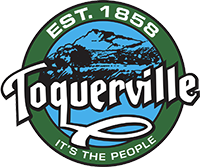 toquerville city Notice of 2019 municipal election Pursuant to Section 10-3-301 of the Utah Code, notice is hereby given that the Municipal Offices in Toquerville City, Utah to be voted on August 13, 2019 - Primary Election (if needed) November 5, 2019 - General Election in the Municipal General Election are: (3) CITY COUNCIL MEMBER – 4 YEAR TERM (1) CITY COUNCIL MEMBER – 2 YEAR TERM Candidate Filing Period Begins June 3, 2019 at 8:00 am Candidate Filing Deadline Ends June 7, 2019 at 5:00 pm A Declaration of Candidacy Form or Nomination Petition must be filed in person, or by audio-visual electronic communication with the City Recorder at 212 North Toquerville Boulevard Toquerville, Utah from the hours of 8:00 a. m. to 5:00 p.
Arbor Day Celebration Toquerville City will commemorate Arbor Day by hosting a Tree Planting Event. April 11, 2019 4:30 pm – 5:30 pm Shangri-La Road – at the nook To view the Arbor Day Poster click HERE . The annual Miss Toquerville Princess Pageant is planned for April 27th at 7:00 p. m. The event will be held at the LaVerkin Little White Church (111 South Main Street, LaVerkin, UT 84774). Toquerville's Historic Home Sweet Homes Click to view video HERE .